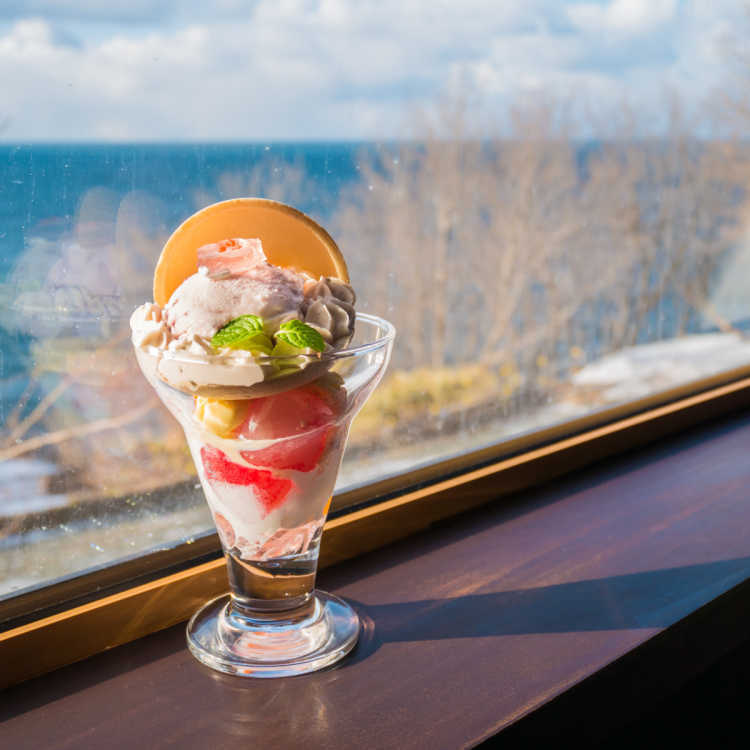 It's a very scenic cafe we can see the ocean view while eating sweets. The ocean can be seen from all tables. It's nice to visit from now, spring and summer.